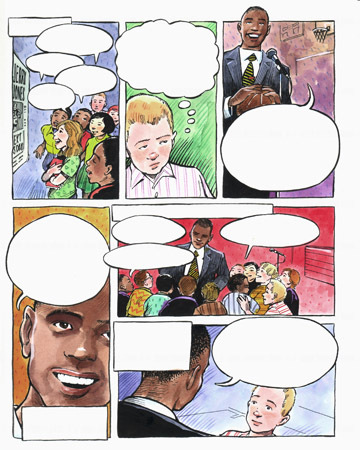 These three pages of comic book continuity were for the Christian Reformed Church’s ongoing curriculum project. A bit corny, but was fun to try my hand at this sort of thing. 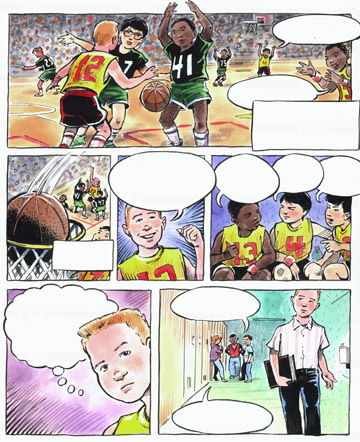 At one time in the early 80s, I had ambitions of one day being a ‘comic book artist’, but I just didn’t have the aptitude for that kind of work. As bad as these look, I cringe to think what sort of ‘comic book’ art I was doing back in 83 and 84. 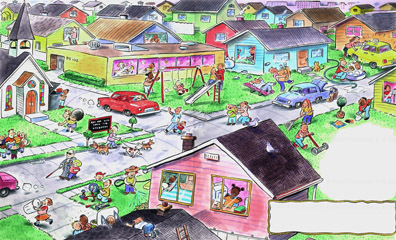 Also, for the same batch, I had this large two page spread of a busy neighborhood scene. 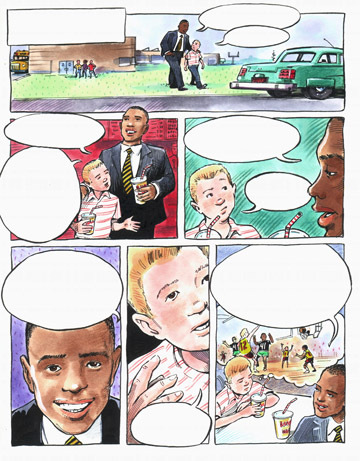 These two illustrations were samples for Eerdmans Publishing, for a proposed reprint edition of ‘Pilgrim’s Progress’. The project never came to fruition, but I managed to hang on to these two large drawings. 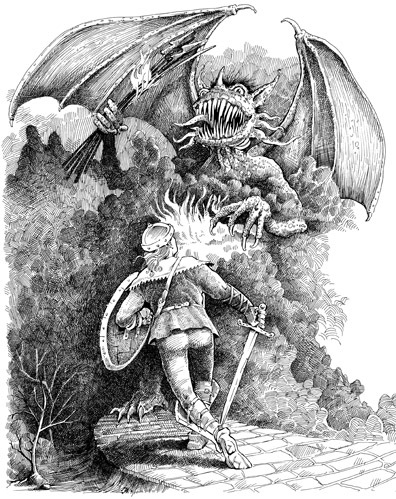 Both looked incredibly labor intensive, with all that methodical cross hatching, and I probably would have killed myself trying to do an entire book in this manner. I had done a few other book projects for this client in the early nineties, and this would be the last contact I would have with them until a small book cover assignment in the late nineties (and then a chance encounter with Amy Eerdmans at Meijer Gardens sometime in the early to mid ’00s).